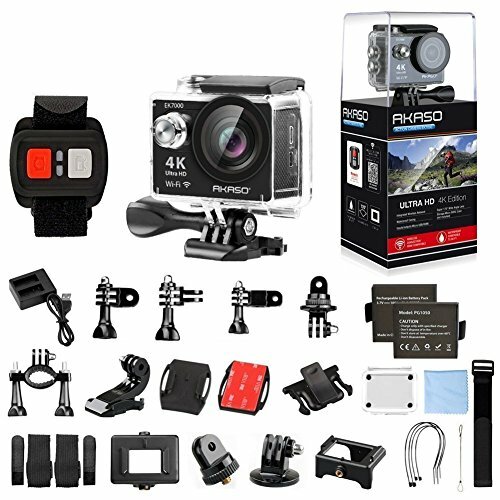 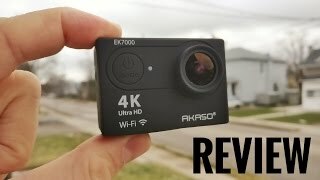 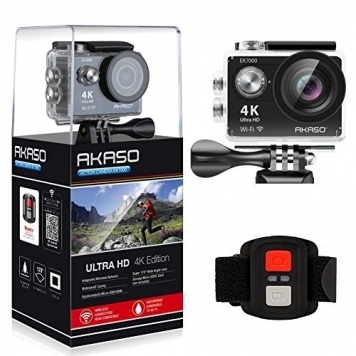 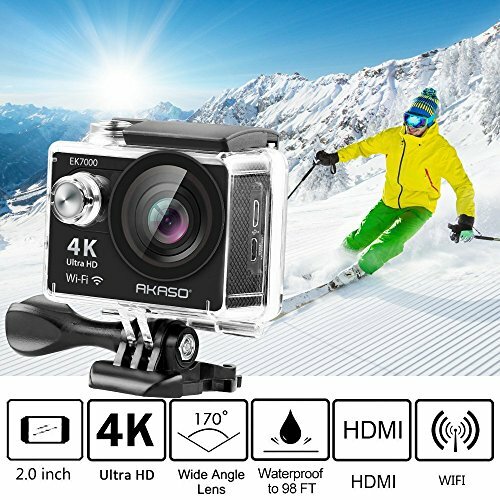 The AKASO EK7000 is a super cool 4K action camera with a 2″ LCD screen. 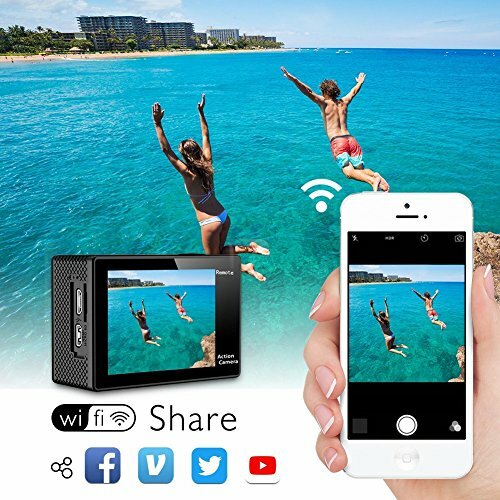 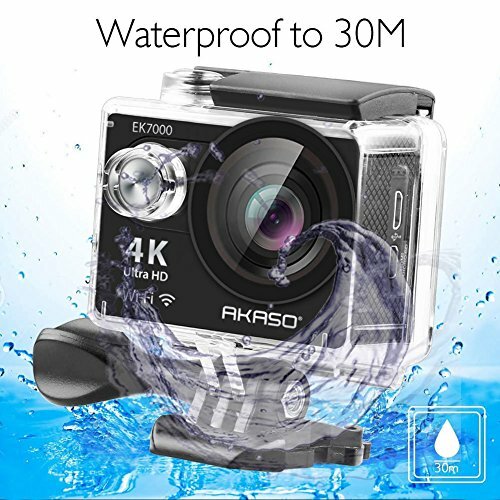 As it is WiFi enabled, once paired to your phone and by using the AKASO phone app you will be able to adjust the camera settings, start video recording and view live camera footage all from your mobile phone. 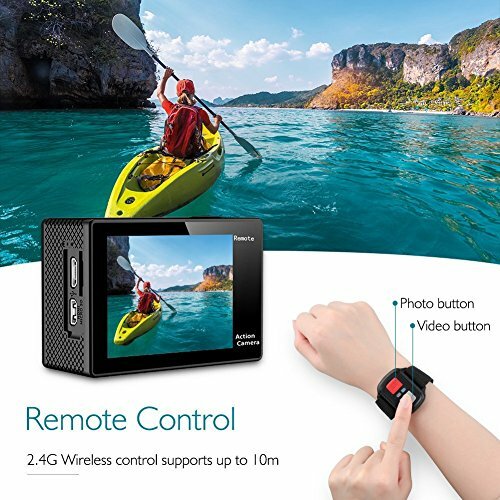 Bundled with the AKASO EK7000 is an unbelievable amount of accessories, brackets and mounts but also a cool wrist worn remote which allows you to take snapshots or start a video recording. 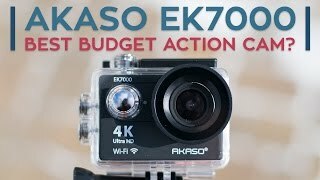 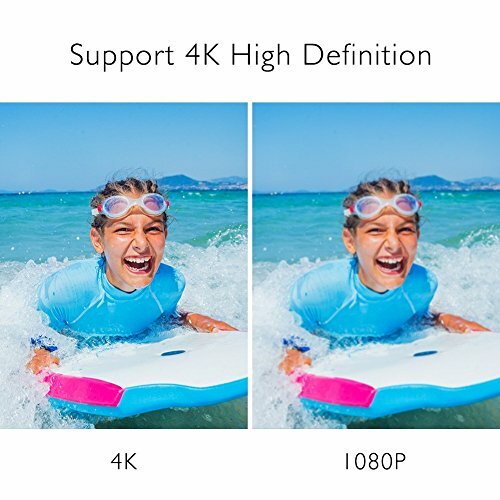 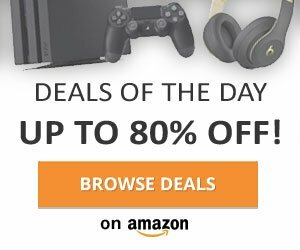 These great features and its amazing price make it plain to see why the AKASO EK7000 is an Amazon’ Choice.